I received my package promptly in a box, it only gives the option of recorded mail so no chances of it being lost or either side trying to pull a fast one to quote a less pleasant vendor. Usually I get my C-liquid from my local headshop p, but due to recent changes the law are managing to enforce, it is no longer selling such products so I thought I would start looking for the best online vendor for my C-liquid usage. 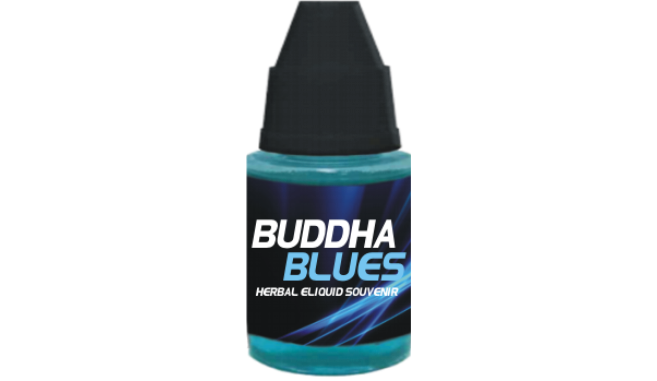 I ordered the “Buddah Blues Eliquid souvenir” as it was only £12.50 for 4ml. My first thought upon placing the Eliquid in my “oil burner” was that it has a scent very similar to standard, cheap mouthwash however the effects were quite pleasant and very similar to the more expensive version I had been using. The only downside I found with this particular Eliquid is the taste, even other people who tried it were horrified, but considering the price I would overlook this, while it isn’t nice, it is more than tolerable. So I have made another purchase from this site, one of each of the 4ml Eliquids, (mouthwash, watermelon and blueberry) for £40 which I think is quite reasonable as I was unable to get this amount of C-liquid for that price at other online stores I had checked out and I already know the lowest quality one is not really low quality in terms of effects. You can check out the website at: http://www.legalhigheliquid.co.uk I would recommend anyone who smokes synthetic cannabanoids to switch to vaping over smoking blends as I have felt great improvements in terms of coughing and my cardio fitness levels. There are a few ready made Eliquids on the market already however it wouldn’t be difficult to make your own and would probably work out cheaper. I intend in the future to just make it myself using the powdered chemicals which are quite cheap and the propylene glycol and glycerin should hopefully, bind the 2 as a solvent, however I need to do a lot more research on this before I start, hence this purchase to keep me going in the mean time. All I can say is thank god there is no 0 tolerance policy in my work place! So I received my 3 Buddah Blues e liquids, watermelon, blueberry and whatever the mouth wash flavour one is meant to be. I first tried the watermelon, my initial thought was that’s some funky melon, are they sure they know what a watermelon is? Although I think I might be being a bit unfair with that. It does have a watermelon-ish taste but also has a hint of whatever makes the standard one slightly unpleasant. While again, it did what it was intended to do and I am happy with it in one respect, it has such a strange and unpleasant odour that I just don’t think, for me it is the best product out there. They are reasonably cheap but with other vendors now coming out with liquids around the same price with a more pleasant aromas I don’t think I will choose this one again. I haven’t tried the blueberry one yet, I’m nervy after the watermelon! I should be receiving some 5F-AKB48 C-liquid from purechemicals.net tomorrow at my desk, 10ml and gummi bear flavour (we shall see about that) for only £20. I will post a review once I have tried it. Failing that I will probably go back to the herbal oils blueberry or vanilla c-liquid as that tastes very pleasant and is fairly strong. I have now tried the blueberry liquid and it is almost like it is made by other company. First of all the taste is really nice, no hint of mouthwash with this one. Also this particular liquid seems stronger than the others, strong to the point that I fell over in the middle of town earlier after vaping some. I am very pleased with this c-liquid however, at £20 for ml it seems a bit over priced considering there are cheaper, quality alternatives available.